CDM’s Director of Ballet has two RAD teaching diplomas and over 30 years of teaching experience. Her work for the Royal Academy of Dance has involved teaching student classes and teacher’s courses across Canada. She has also played a management roll in the prestigious teacher training program at the National Ballet School. She has examined all over the world in places such as Jamaica, the Bahamas, St Lucia, Hong Kong, the Philippines and Sri Lanka. We are proud to offer Cynthia’s expertise as a dual examiner right here at CDM. Miss Fisher has mentored and trained dancers to successful results for the Solo Seal Award. “Mrs. Pfaff”, as her enthusiastic young students affectionately and respectfully call her, has been inspiring dancers with her extensive knowledge and insight for over eighteen years. She began dancing at the Bush Davies School of Dance at the tender age of six and went on to study at the prestigious London Dance Center in the UK. She completed Advanced RAD Ballet and Advanced ISTD Ballet and Modern. Caroline’s professional career as a dancer saw her performing with numerous companies in Europe including; Ballet Go Round in England, Vienna’s Theatre An Der Wien, the Innsbruck State Theatre in Austria and the Hannover State Theatre in Germany. She has appeared in television programs as a model and dancer, including the Eurovision Song Contest with choreography by Nigel Lythgoe. Other career highlights include performing in such famous productions as Chicago and West Side Story. In 1986, Mrs. Pfaff moved to Canada and soon after added the RAD Teacher’s Certificate and Ontario Teacher’s Certificate in Dance to her impressive list of accomplishments. CDM has been fortunate enough to have Mrs. Pfaff as a ballet teacher since 1998. Roxanne is proud to be a part of the CDM Team. Dance has been a part of her life since she was a child. “Miss Roxy”, as her students call her, attended and graduated from Claude Watson School for the Arts and Claude Watson Secondary Arts Program at Earl Haig. During her first year studies at Guelph University she began her professional career as a dance captain in the indoor and outdoor theatre performances at Canada’s Wonderland. This experience introduced her to many career opportunities in various shows and film work throughout Ontario. After graduating with a Bachelor of Arts degree from Guelph, Roxanne made a decision to travel the world. She sailed with Princess Cruises as Production Show Coordinator and dancer to over 30 countries while continuing to perform in Toronto during her breaks. Roxanne has had the unique opportunity to work with dancers and choreographers from all over the world. She strives to convey her experiences as a professional dancer and manager to all her students through structured, fun, energetic classes. Christina is a passionate dance artist and choreographer who is inspired by the exploration of the creative process. With her extensive training across North America as well as over 12 years of choreographing, and teaching experience, her philosophy and ultimate goal is to assist dancers in finding their true authentic selves as artists as well as individuals. Christina has self-produced numerous dance productions in Toronto, Canada such as “The Love Project”, “The Infinite Continuum”, as well as her most recently produced show “The House of Heartbreak”. Christina was recently chosen as a 2015 Capezio Ace awards finalist. 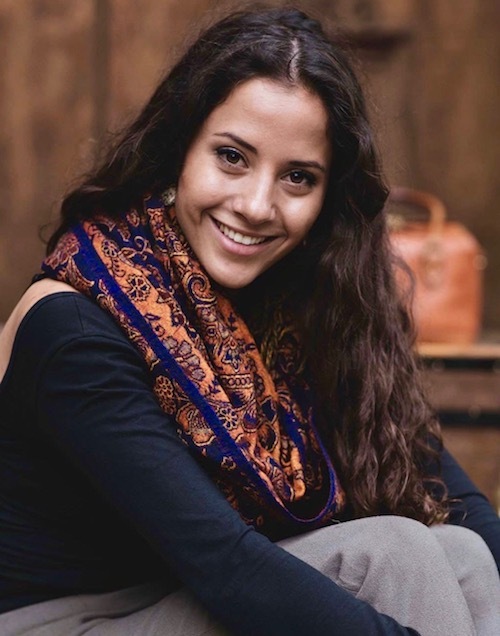 She has also been awarded with the Choreographer’s Connection Grant by Regional Dance America where she had the honor of working alongside Miss Nelly Van Bommel as an emerging artist. Christina has had the privilege of sharing her passion and artistry with Toronto’s Nuit Blanche, The Ohio Canton Ballet, Sears Canada, Benson & Hedges, Toronto’s Bazaar, Fever After Dark, and Toronto Choreographer’s Ball, just to name a few. Christina is dedicated to sharing her love for Dance Arts education with youth. She is an instructor, choreographer and adjudicator for performing Arts schools and dance studios across Canada. She considers herself a life-long student continuously seeking out new ways to expand as an artist and develop a new found appreciation for her craft. Rachel’s passion for dance started in the studios of CDM. Starting at the age of five, she trained in numerous styles including ballet, jazz, lyrical, acrobatics, hip hop, and contemporary, where she took part in CDM’s first competitive team. After training for two years as a national-level rhythmic gymnast, Rachel nurtured her love for the arts at Claude Watson School for the arts, and later at Earl Haig Secondary School’s Claude Watson Arts Program. 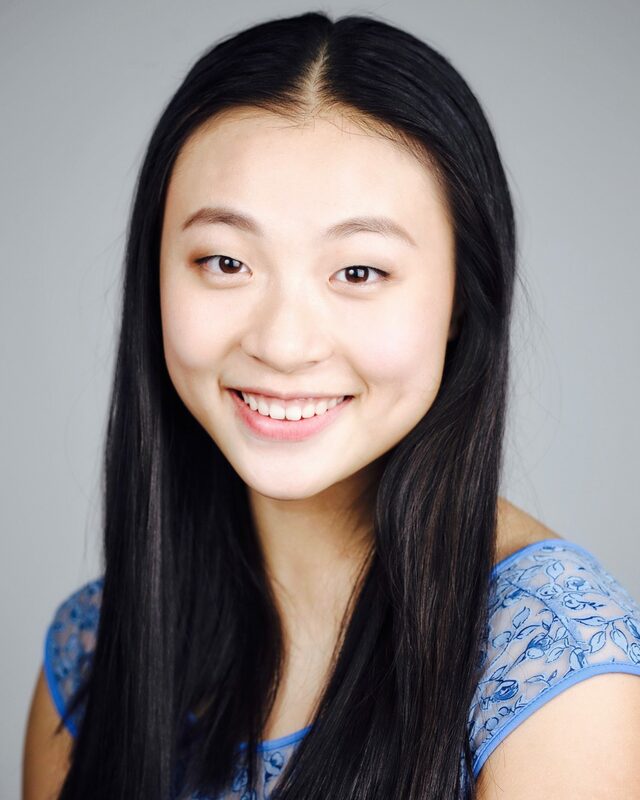 Through her experiences in the Claude Watson Programs, Rachel has had the pleasure of working with artists including Benoit-Swan Pouffert, Gino Berti, William Yong, Jerome Bob, Melanie Mah, participating in numerous extra-curricular arts events, while also developing her managerial, and performance experience. 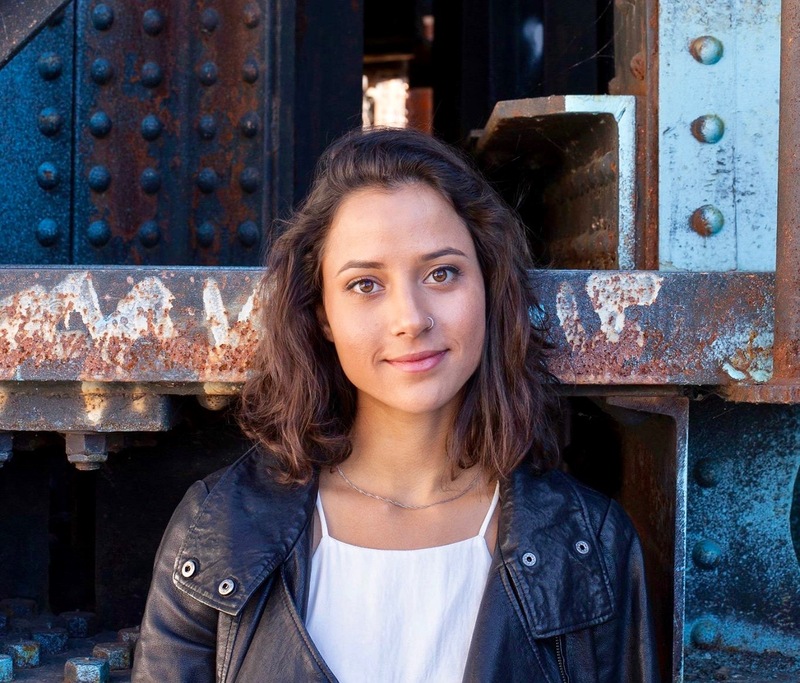 While pursuing her degree at McGill University, Rachel was a proud member of Mosaica Dance Company, an egalitarian contemporary dance company and the oldest arts society at the esteemed university. 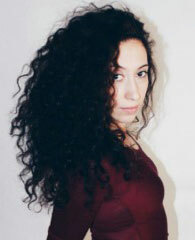 During her university years, she was able to hone her teaching and choreographing skills at Montreal Studio Danse Nanci Moretti, and as a collective member of Mosaica Dance Company. Her creative, organizational, and event managerial experiences culminated in her position as Mosaica Dance Company’s coordinator where she had the opportunity to organize a team of 21 dancers and partake in countless fundraisers and performances throughout the city of Montreal. Rachel continues to keep dance as a part of her professional life and seeks to inspire creativity and confidence in her students. As a product of arts-based education, Rachel believes that the arts play a crucial role in developing of well rounded, creative, and intelligent individuals regardless of the role that it may play later in their career. Rachel is thrilled to return to her second home as a teacher and administrator at CDM! Renuka is delighted to be back at CDM as both the school administrator and teaching. Her love for dance started at CDM as she began training in RAD ballet, completing both the graded and vocational streams. 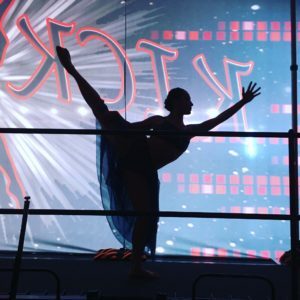 From a young age, she began training in other styles such as jazz and lyrical and was among the first dancers to compete in CDM’s competitive program. For several years she also attended Sport Seneca where she trained in rhythmic gymnastics and competed at the provincial and national levels. This set the foundations for her training in acrobatics which she has continued to develop by obtaining her Acrobatic Arts module 1 certification and in her personal training on aerial tissue, rope, and trapeze. Through her school years, Renuka attended Claude Watson School for the Arts and Earl Haig Claude Watson Program (Drama Major) where she further developed her performing arts skills in tap, hip hop, modern, singing, French horn, acting and directing. She also gained invaluable leadership and management skills producing a One Act Play Festival and assisting in running numerous events, coffee houses, and dance & fashion shows. When she attended McGill University (Hons. BA&Sc Cognitive Science) she continued her involvement in the arts by devoting herself to Mosaica Dance Company, a student run dance troupe. Mosaica provided her with weekly technical training and countless creative choreography and performance opportunities within the Montreal community. In her third year, she ran the company and was also responsible for the company’s budget covering rehearsals, workshops, fundraising, outreach, costuming and showcases. Renuka has had the pleasure of performing in Toronto (Harbourfront Dance Weekend, Gay Pride, Rogers Centre), Montréal (Dix30 Grand Opening, Club Olympia, McGill Orientation) and broadcast on television in the Pan American Games opening ceremonies produced by Cirque du Soleil. She has had the honour of working with such esteemed choreographers as Luther Brown, Melanie Mah, Benoit-Swan Pouffer and more. Renuka has been teaching for many years both at CDM and at Danse Nanci Moretti (Montreal, QC). She values connecting with students on a personal level and helping students find a creative and emotional outlet for their energy, thoughts, and feelings. Feel free to say hello in the halls of CDM whenever we cross paths, I look forward to meeting you and your little ones! Tamerra Herres has spent a generous part of her life immersed in the dance world, where she has spent over 20 years in the industry. Starting at age 4, she quickly realized her love for the performing arts and grew up as a heavily involved and successful competitive dancer. Upon her high school graduation in Canada, she then traveled to the state of California where she trained and competed with the US company Dance Precisions. Shortly after, Tamerra received a full professional dance scholarship through the EDGE Performing Arts Centre in Los Angeles where she trained under some of the industries finest choreographers in multiple styles of dance. In her extensive career as a professional dancer, Tamerra has had the opportunity to perform for the likes of Nelly Furtado, Canadian rapper Shad and Disney Tokyo in Japan amongst others. Her talent and dedication has also presented her with opportunities to work on projects with Universal Studios Hollywood, Fashion Arts Toronto, the Capezio Ace Awards and the Toronto Fringe Festival. Over the years she has blossomed into a well versed teacher, coach and choreographer with her artistry denoting strong aspects of storytelling, refined athleticism, and use of transitional staging and imagery. Her movement quality is very much inspired and influenced by human intention in its many forms and is guided by layers of musicality. Tamerra is currently pursuing her Bachelor of Kinesiology degree at York University with the purpose to enrich her knowledge of functional movement, progressive physical literacy, injury prevention and biomechanics as related to the dancer. She has a passionate heart for teaching the younger generation and is a strong believer that when science, proper technique and artistic expression come together, the dancer can realize their full potential with longevity. She believes the time is now, that creative aesthetics and smart effective training should be merged together. Tamerra aims to be a pivotal leader in equipping today’s generation with the tools to reach endless possibilities as young emerging dance artists, and as well-rounded human beings. With knowledge there is power, and combined with passion, there is purpose. Judy Luo took her first dance class at CDM when she was 8 and from then on, developed a passion and dedication for dance. Training in ballet, jazz, contemporary and other various styles, Judy was also a member of their competitive team where she won numerous scholarships and awards at competition. She began her modern training in the Graham and Limon style techniques at the Claude Watson Arts Program at Earl Haig Secondary School where she completed high school. Judy is now studying at Ryerson University’s School of Performance completing her BFA in Performance Dance. At age 15, Judy completed her Advanced 2 ballet examination with distinction. Soon after, she was accepted into Joffrey Ballet School’s summer intensive in New York City where she then auditioned and was accepted into the Alvin Ailey Junior Scholarship Program. Approaching her final year of high school, Judy received the Darcey Bussell Bursary which allowed her to attend RAD’s prestigious Genée International Ballet Competition held in London, England where she was one of the eight dancers representing Canada. After extensive training with CDM’s director of ballet, Cynthia Fisher, Judy obtained her Solo Seal Award, RAD’s highest vocational examination. 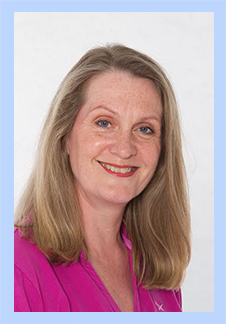 Judy has been able to partake in the professional industry whilst studying in a pre-professional training program. Her credits include: 7Sould, Hallmark’s “The Nutcracker’s Christmas,” Feist, Nike+ Local Run and Lincoln Luxury Cars. She is beyond thankful for the dedication and support the CDM family has provided her over the years and hopes to give back to the studio through her teaching. The physicality and artistry found within dance is what keeps Judy excited and hungry to learn and share the beauty of movement with her students. Victoria is a passionate, motivated choreographer, dance teacher and entrepreneur with over 20 years of experience in the industry. She has extensive training in various genres specializing in the technique behind ballet (Vaganova and RAD style), jazz and contemporary. Victoria trained and competed at Elite Danceworx where she was a part of the teaching faculty for over 5 years. Winning countless dance and choreography awards, Victoria has continued to keep dance a part of her professional life. Victoria has appeared in the television industry through companies such as Planet Lunch, President’s Choice, Golden Crisco Cookies, Canadian Tire and the Girl Guide Cookie Box. She has danced in Cardinal Carter’s “The Nutcracker” as several characters, notably in her final year as the Sugar Plum Fairy. Victoria appeared on Season 3 of So You Think You Can Dance Canada where she made the top 40 female dancers in Canada. While completing her Honors Bachelor of Science Degree, Victoria was the co-captain of the University of Toronto Dance Team for 2 years where she led the team to a 1st overall championship. In 2011, she co-founded City MOGULS, an organization that celebrates Toronto’s entrepreneurs in an unforgettable runway show that features Canadian fashion brands and raises funds and awareness for Canadian charities. Through this initiative, Victoria has helped raise over $75,000 for Canadian Charities. Taryn is a recent graduate from Ryerson University, receiving a Bachelor of Fine Arts degree in Performance Dance. Her studies have equipped her with teaching, improvisation, choreography, and performance experience, whilst training in Graham technique with Karen Duplisea, ballet with Tanya Evidente and John Ottman, contemporary with Ryan Lee and Robert Glumbek, and jazz with Linda Garneau. Leading up to her degree, Taryn began her early training at the Canadian Contemporary Dance Theatre (CCDT) in Toronto. With a foundation in classical ballet, she has completed eight of the RAD graded exams and passed her Intermediate, Advanced I and Advanced II examination with distinction. It was her love for Limon modern and contemporary dance that inspired her to become a part of CCDT’s contemporary company, where she performed for five years and toured throughout Canada. Taryn is grateful to join the team at CDM and plans to share her knowledge and inspire, though movement and dance. Katherine Olsen began her intensive dance training in Panama, Central America where she studied at the Maruja Herrera Academia de la Danza. It was here that Katherine developed a deep love for ballet and the classical arts. In June of 2016, Katherine graduated with honors from the Teacher Training Program at Canada’s National Ballet School where she received the Sylvia McPhee Award for outstanding achievement and citizenship. She is a registered teacher with the Royal Academy of Dance, an associate with the ISTD in folk dance, and is a member of the artistic staff in the Associate Program at Canada’s National Ballet School. Katherine enjoys working with dancers of all ages and abilities. As an educator, it is her belief that she should not only be a strong role model, but also learn and grow from her students. Katherine is determined to create an atmosphere of discipline, yet open-mindedness and joy. In addition, Katherine is devoted to giving back and sharing dance with the wider community. Most recently, Katherine attended Boston Ballet’s Adaptive Dance training course and co-piloted a dance program for adults with disabilities. We are very excited to have Katherine on board and we can’t wait to see the children evolve with her. Jessica was born and raised in Halifax, Nova Scotia and began dancing at 13, and teaching at 16. She competed in several east coast dance competitions and performed with her local dance team all year round at charity events, concerts, schools and for musical artists. At 23, she was the choreographer of the dance troupe for a professional basketball team in Halifax and also the choreographer for a few Canadian artists. Starting at the age of 20 she began to travel to Los Angeles every year to train with the top choreographers and dancers in the industry. In 2008, Jessica moved to California to pursue dance as a career and continued to travel home to Canada to judge and teach at dance conventions/competitions. In 2009, Jessica moved to Toronto and continues to teach, inspire, and mentor young dancers. This is Jessica’s 3rd year with CDM Dance teaching both recreational and competitive groups. Ever since she could remember, Queenie has always had a special place for music and movement in her heart. Her honest enthusiasm and love for dance has grown immensely over the past years and what was once only a ‘hobby’ had finally become her way of life. Being a part of an all-female Toronto based dance crew, DEUCEnDIP, was a major milestone and platform for Queenie’s dance career. In a span of 5 years, she has showcased at some of the biggest community events in Toronto including Canada’s Walk of Fame, UNITY Festival, Pride Festival, and MNFSTO Festival just to name a few. Queenie is also currently travelling across parts of Canada to teach HipHop classes, workshops, and summer camp intensives for youths of varying ages and skill levels. 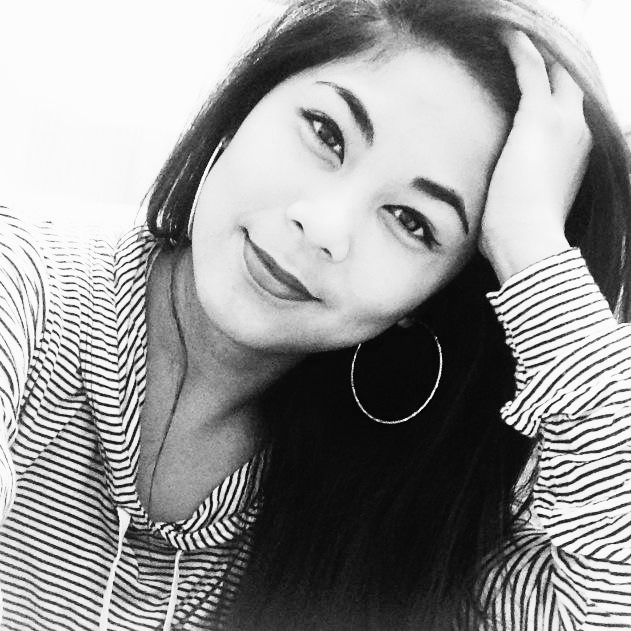 From mentoring First Nation youths in various reserves through dance, to training and choreographing for highly competitive teams in New Brunswick and Jane and Finch St. in Toronto, Queenie enjoys engaging and educating her students. She focuses on the beauty and artistry behind pieces of music, the transfer of that knowledge into movement, and ultimately becoming a dynamic dancer. Queenie is also under the mentorship of FLAVORSHOP founder Lenny Len, where she continues to train and improve on her craft as a dancer as well as a teacher. She is developing and practicing a ‘3D’ understanding of music and movement (Sonic, Definition, and Groove) and teaches youths to do the same by developing their own understanding of music and encouraging them to discover their own ‘cool’ in a fun and enjoyable atmosphere. Queenie guarantees that students will never leave her class without feeling fresh and feeling good – not only about their dancing – but about themselves as a person too. Shanna was raised in Sudbury, Ontario where she began dancing at age 3. She competed in several dance competitions around Canada and worked on completing her Cecchetti ballet examinations. At 16, she began teaching and choreographing for her local studio. Shanna continued her love for dance when she moved to Halifax, Nova Scotia for university. By 19, she was working on her Kinesiology degree, as well as performing and choreographing for the competitive Dalhousie dance group, the Black and Gold Dance Team. Over the years, Shanna has won many ballet and lyrical choreography awards. She is currently in her 3rd year of the Doctor of Chiropractic program at CMCC. 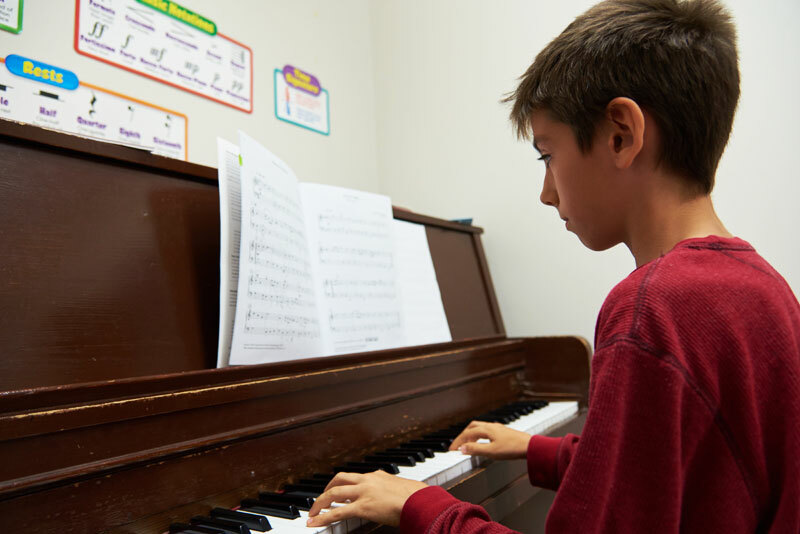 Aside from dance and science, Shanna is classically trained in piano and has completed her grade 8 examinations with the RCM. 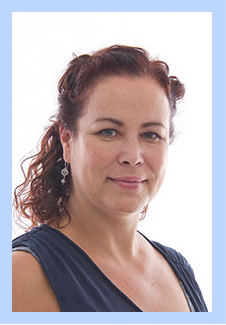 Shanna’s love and knowledge for the human body and dance, help her to create a positive learning environment for her students to excel in dance and understand how their bodies move and create. A three-time recipient of an Alberta Arts Scholarship, Emma started her dance training in Edmonton and continued at the Royal Winnipeg Ballet School, with Gabriela Komleva at the Leningrad Ballet Academy in St.Petersburg, Russia, and on full scholarship at l’École Supérieure de Danse du Québec, she went on exchange to The Juilliard School and School of American Ballet in New York. With Le Jeune Ballet de Québec, Emma performed in New York, Switzerland and throughout France, and she went on to dance with Festival Ballet in Banff. She also enjoyed two consecutive contracts for Casse-Noisette with Les Grands Ballets Canadiens, touring to Ottawa, Quebec City and St. Louis. Emma spent nine years working for the luxury six-star Crystal Cruises: as a dancer, dance captain and a member of the Artistic management staff, involved in the creation and teaching of their award-winning musical theatre style production shows. A graduate with distinction from Canada’s National Ballet School’s Teacher Training Program, Emma is the proud recipient of both the Carole Chadwick award and the distinguished Betty Oliphant award for excellence in teaching. She has taught at the National Ballet School in the Professional Ballet Program, the Associates Program, and the Adult Ballet Program. A graduate of St. Lawrence College Music Theatre Performance program, Catarina has been dancing since the age of 4. She has trained in Jazz, Ballet, Music Theatre, Tap and Ottawa Valley Step Dance. 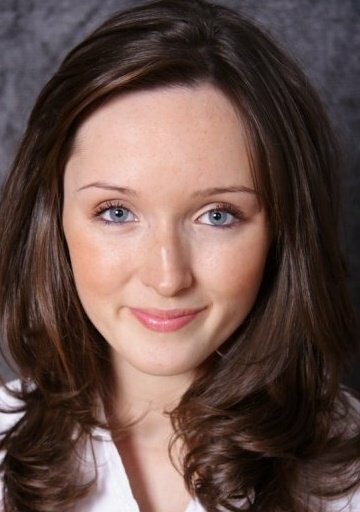 Some of her credits include Charlottetown Festival Young Company, Mamma Mia! and Elle Woods in Legally Blonde. 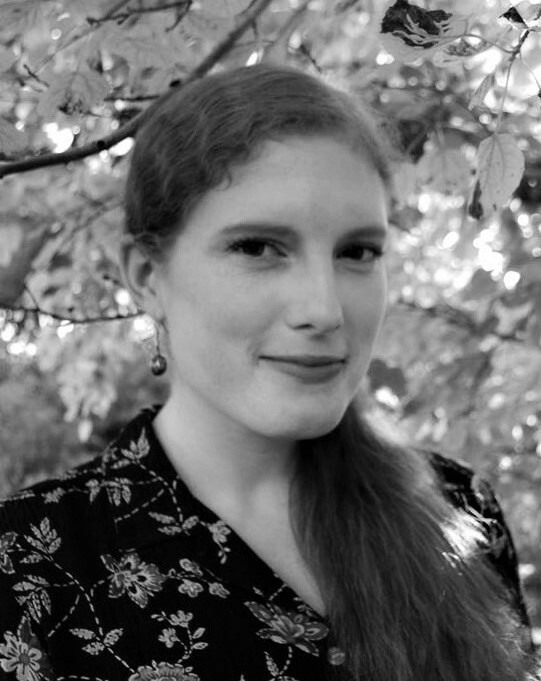 Catarina has worked as a piano, voice, and dance teacher both privately and for multiple youth arts organizations. She has also choreographed for children and youth, working on projects such as Music Man Jr., Legally Blonde Jr., and an award-winning competition tap piece. Catarina actively works to create a safe and encouraging environment where students are given the tools to express themselves through creativity and to grow to their fullest potential.